If you have any questions about the 2010 Super ASPEN ALTERNATIVE information page below please contact us. Super Yacht ASPEN ALTERNATIVE (ex Imagine) is a 2010 launched 49,90 metre (164') Trinity Yachts vessel. Naval architect for this beautiful boat are Trinity Yachts with the interior designed by Evan K. Marshall and Sylvie Charest. Accommodation layout consists of five luxurious staterooms, comfortably sleeping up to 10 guests. There is a gorgeous master suite, 3 double cabins and 1 twin cabin, as well as space for a crew of 10 professionals. The tri-deck ASPEN ALTERNATIVE (ex Imagine) with a hull number T053 is powered by two Caterpillar 3512B, 2,250hp engines. Her hull and superstructure are made of aluminium. She tops out at 20 knots and has a cruising speed of 18 knots with a 4,000 nautical mile range. The vessel is built to ABS Maltese Cross A1 Yachting Service classifications and is MCA compliant. 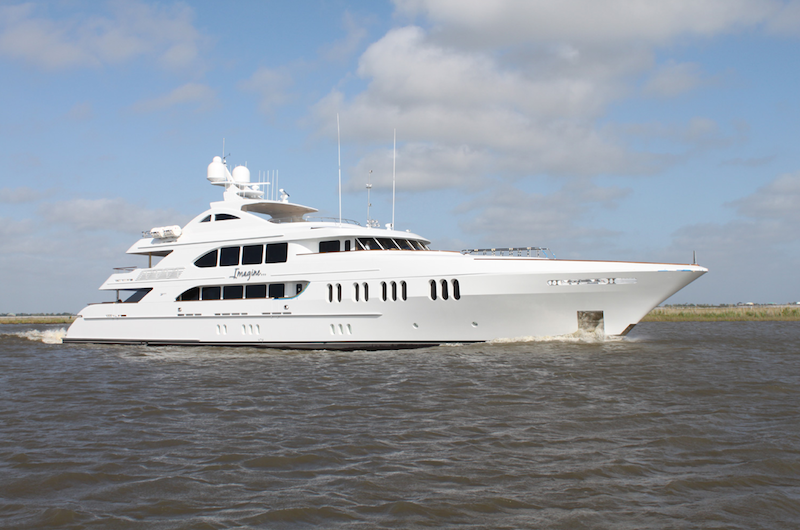 A total number of 10 guests can be accommodated aboard ASPEN ALTERNATIVE in utmost in luxury. There are five lavishly appointed staterooms, including a beautiful master suite, 3 double cabins and 1 twin cabin. The vessel is taken care of by a crew of 10 professionals. 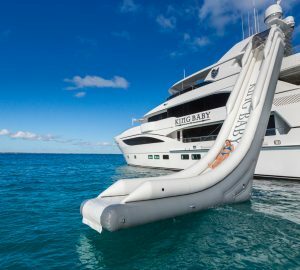 We do have available further amenity, owner and price information for the 49.90m (164') yacht 2010 Super ASPEN ALTERNATIVE, so please enquire for more information. The luxury yacht 2010 Super ASPEN ALTERNATIVE displayed on this page is merely informational and she is not necessarily available for yacht charter or for sale, nor is she represented or marketed in anyway by CharterWorld. This web page and the superyacht information contained herein is not contractual. All yacht specifications and informations are displayed in good faith but CharterWorld does not warrant or assume any legal liability or responsibility for the current accuracy, completeness, validity, or usefulness of any superyacht information and/or images displayed. All boat information is subject to change without prior notice and may not be current.